The fan-favorite BOXBOY! puzzle series is coming exclusively to the Nintendo Switch system for the first time with the BOXBOY! + BOXGIRL! game. In BOXBOY! + BOXGIRL!, players will need to think outside of the box to solve puzzles on their own, or work together with another player to take on challenges as a team when the game launches on April 26. Those looking to try before they buy can also download a free BOXBOY! + BOXGIRL! demo today from Nintendo eShop on Nintendo Switch. BOXBOY! + BOXGIRL! is packed with over 270 puzzling stages – the most in the series to date – and for the first time, two players can work together to solve puzzles, or one player can alternate between star-crossed boxes Qbby and Qucy in A Tale for Two mode. As a bonus, players who complete the main story can access a new adventure starring Qudy, the tall one, introducing puzzles that force them to think outside the rectangle. BOXBOY! + BOXGIRL! is fun for anyone to pick up and play but also offers a rewarding puzzle experience to gamers looking for a challenge. A trailer showing off gameplay and A Tale for Two mode can be viewed by visiting www.youtube.com/watch?v=XQiKejAuLcs. 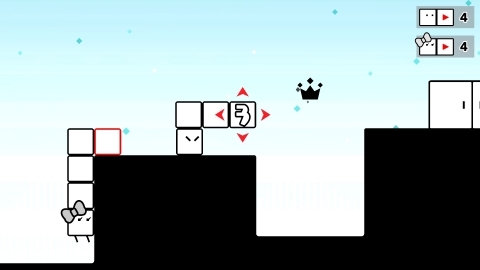 A free demo for BOXBOY! + BOXGIRL! is available in Nintendo eShop on Nintendo Switch and on Nintendo.com at http://boxboy.nintendo.com/. The full game launches exclusively in Nintendo eShop on Nintendo Switch on April 26 and is available now for pre-purchase for $9.99. For more information about BOXBOY! + BOXGIRL!, visit https://www.nintendo.com/games/detail/boxboy-and-boxgirl-switch.